Is saying thank you the secret to a happier relationship? Simply saying 'thank you' more often to your partner is enough to boost a relationship's happiness. According to a new study, the often forgotten two words of appreciation can result in both a longer-lasting and more fulfilled relationship. 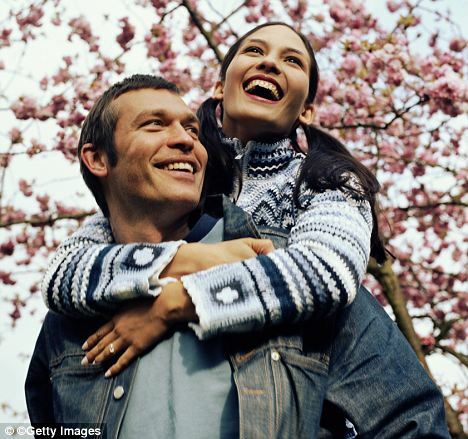 While it may be common sense, it seems couples are taking the simple gratitude for granted, and are overlooking its many positive effects. Study researcher Amie Gordon, of the University of California, Berkeley, told LiveScience: 'Feeling appreciated by your partner influences how you act in your relationship, and how much you want to stay in that relationship'. The researchers examined 50 undergraduate participants who had been in relationships for about 15 months. They were asked to fill out a questionnaire nightly for one week about their relationship, and how appreciated they felt and how appreciative they were toward their partner. Nine months later, the study participants were given another survey asking about their relationship. The appreciated couples were also less likely to have broken up nine months later, and were actually more committed to each other. Ms Gordon said: 'What goes wrong in a lot of relationships is if you start to take your partner for granted. 'You get used to having them in your life and forget why you chose to be with them,' she added. The researchers then examined couples aged 18-60, nearly half of them living together, monitoring their interactions with each other. The researchers coded how the couples interacted, including how often they touched each other, and made eye contact, and how engaged they were in their conversations. They found the more often a participant acted in an understanding, validating and caring manner toward their partner, the more appreciated their partner felt, and the happier both were in the relationship. Simple behavioral displays, such as leaning in to your partner when they are speaking, making eye contact, and giving comforting touches are important, but often overlooked, ways that people can show gratitude. Ms Gordon said: 'The punch line is really that being appreciative of your partner is beneficial in helping you want to maintain your relationship.